This project is on the junction of the historic Rock or South Bund area adjacent to the Yu Yuan Park. The building design is based on a series of overlapping planes creating a strong East - West movement. 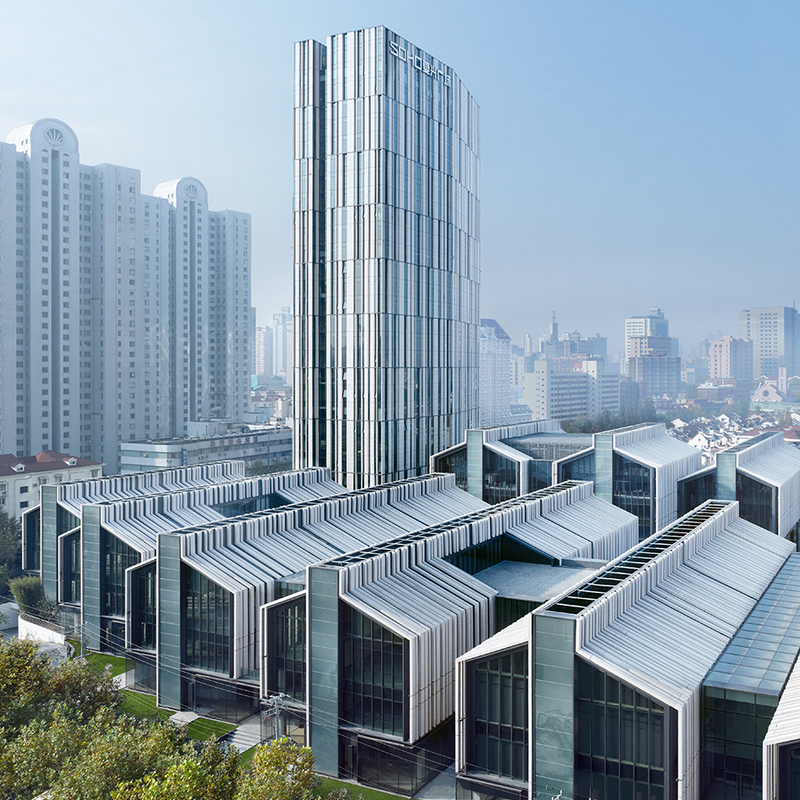 SOHO Fuxing Plaza is on the edge of the acclaimed Xintiandi development and central to other retail village districts including the Sinan Mansions, Bridge 8 and Tianzifang. Kangju Retail is part of a larger development complex comprising retail, open space and residential. On a broader scale, the park consolidates all the parts into a lifestyle community catering for living, working, recreation and exercise. Times Plaza extends Wulin Palace to a mixed-use development. The green buffer creates continuity along the elevated road and guides people to the office and retail facilities. The design creates an elegant carpet to integrate the entries and functional openings and EVA circulation. 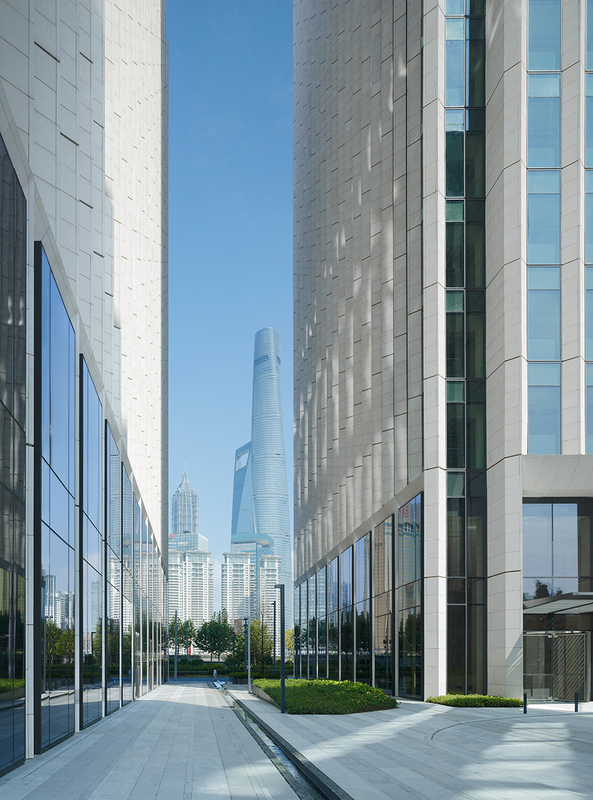 R&F No.5 is a 6 ha Green office park project in Shanghai. The main challenge of this project was to create a strong identity for this space. This project reacts to new visions of labour environments, which provide an affectively engaging, stimulating space that facilitates creativity. iPD worked closely with the architect to achieve Class A Green Building certification for this project. Chen Avenue is the vibrant hub of the Gouzhang development. The retail street is the anchor space providing the main axis linkage and point of arrival for the adjacent canal waterfront and residential community. 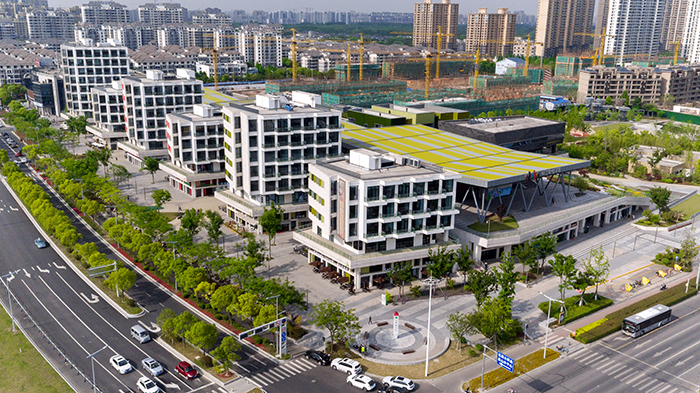 The Forte development is located in a new district of Gongsu in Hangzhou. The site is located at a juncture of major highways, a bus terminus, and subway station and straddles the main entry road to the new district.